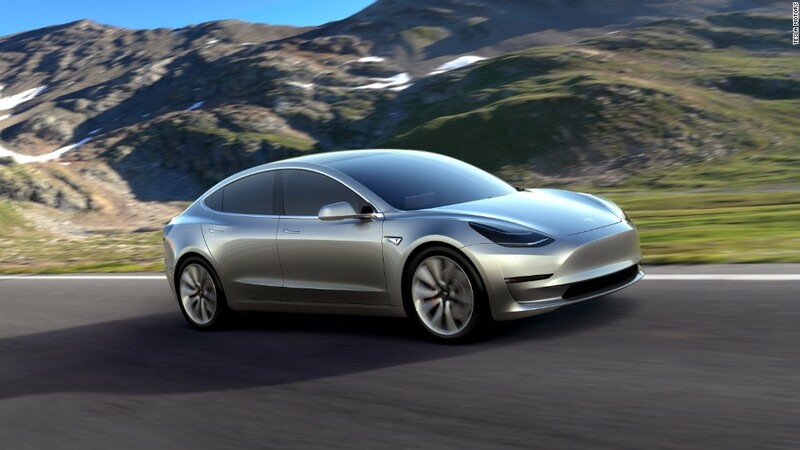 Even before Tesla unveiled its new Model 3 on Thursday night, more than 115,000 people had already paid $1,000 to reserve one of the highly-anticipated electric cars. These early buyers didn't know what the car would look like -- a lot like a smaller Model S with an up-turned nose -- or that it would have a starting price of exactly $35,000. They also didn't know that it would go from zero to 60 in less than 6 seconds and have a range of at least 215 miles. "We don't make slow cars," CEO Elon Musk said at the car's unveiling, adding that these are minimum specs the company hopes to exceed. "You will not be able to buy a better car for $35,000, or even close, even if you get no options," he said later. Musk said the Model 3 will seat five comfortably, and he emphasized "comfortably." 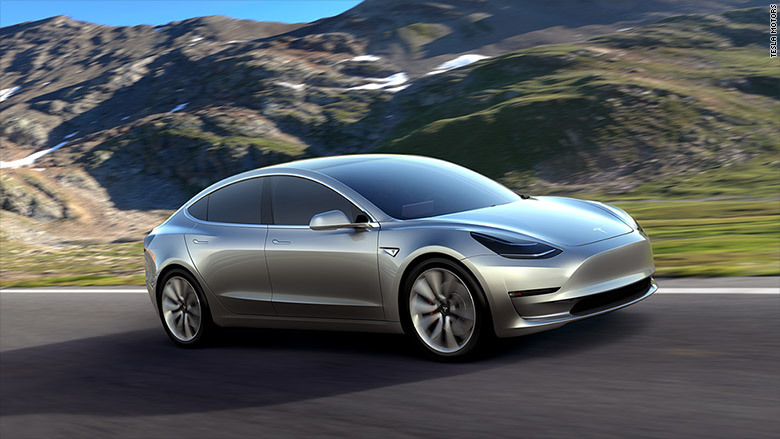 After the launch event at the automaker's Southern California design studio, Tesla executives gave guests brief rides in prototype Model 3 cars. The vehicle does, in fact, seat at least four people comfortably. Five would probably be a squeeze. The windshield and back window nearly touch, leaving only a narrow bar of actual roof to separate them, which makes for a nearly complete view of the sky over occupants' heads. There is no gauge cluster in front of the driver, only air-conditioning vents. A rectangular touchpad screen mounted on the dashboard between the front seats is the only information display. The car's speed is displayed in the upper left corner within easy view of the driver. The car I rode in was an all-wheel-drive dual-motor version which would cost more than $35,000, but also be more powerful that the base model. Acceleration was neck-strainingly quick, and the ride was -- as always with electric cars -- strangely quiet. Like the larger Model S, the Model 3 has a trunk and a "frunk," meaning there are large storage areas at both ends of the car. That gives it more storage space than any gasoline-powered car of similar size, Musk boasted. Musk stuck by his promise that the Model 3 will go on sale by the end of next year. The Fremont, Calif. factory where Tesla (TSLA) builds its cars used to produce nearly half a million cars a year when it was owned by General Motors (GM) and Toyota (TM), he said, so it should have no trouble meeting Tesla's needs for this third model. Tesla's enormous new Nevada Gigafactory should also be able to produce more than enough lithium ion batteries to meet demand.